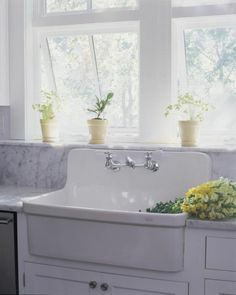 A cast iron sink lends a classic, almost timeless look to any kitchen, giving it a traditional and practical ambience. Cast iron offers outstanding durability, so if you buy a cast iron sink, it might be the last kitchen sink you ever need. Sink enamel is available in a wider range of colors than ever before, though white continues to be very popular. You’ve got good options for size and style too. This comprehensive set of guides will make your buying decision easier. We’ve created similar sets for other top materials including stainless steel, copper, porcelain and granite composite. Comparing sink materials head to head is easy and interesting using the guides. 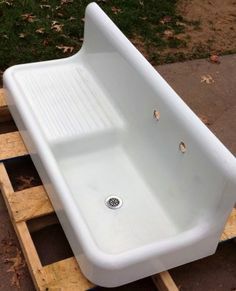 The Cast Iron Kitchen Sink Buying Guide is where most readers begin because it gives general overview that includes sink types, styles, pricing overview and pros & cons. The Cast Iron Sink Price Guide includes detailed pricing for cast iron topmount, undermount, corner and farmhouse/apron sinks. The Cast Iron Sink Maintenance & Care Guide will help you keep your sink looking good for years with tips on cleaning and much more. When you’re looking for inspiration for your kitchen project, our popular Pinterest pages are perfect! 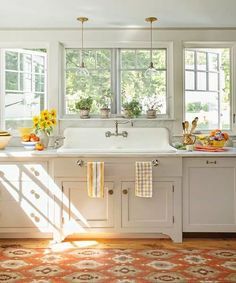 The colorful cast iron sinks Pinterest page is full of beautiful ideas you can put to use in your kitchen design. 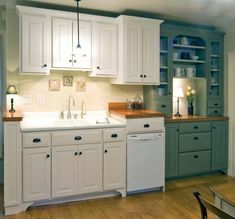 We can help you locate a qualified contractor for a simple sink installation or a full kitchen remodeling project. Select the Free Estimate offer, and fill out a quick, no-hassle form. When you do, you’ll receive written estimates from three of the top kitchen contractors where you live. The service is free to use, and there is no obligation to accept any of the estimates you receive.